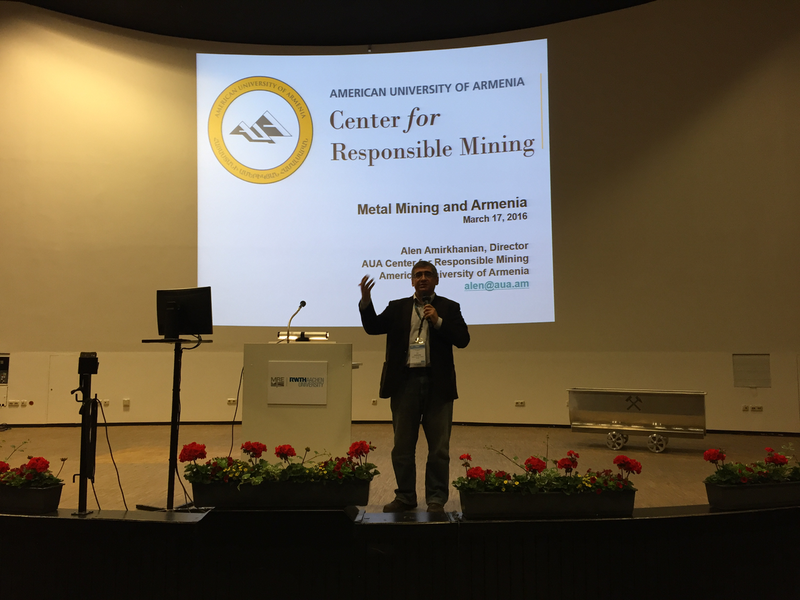 Aachen, Germany – On May 18th, 2016, the American University of Armenia (AUA) Center for Responsible Mining Director Alen Amirkhanian attended and presented at the 1st International Conference on Mining in Europe. There were more than 80 presentations during Conference. 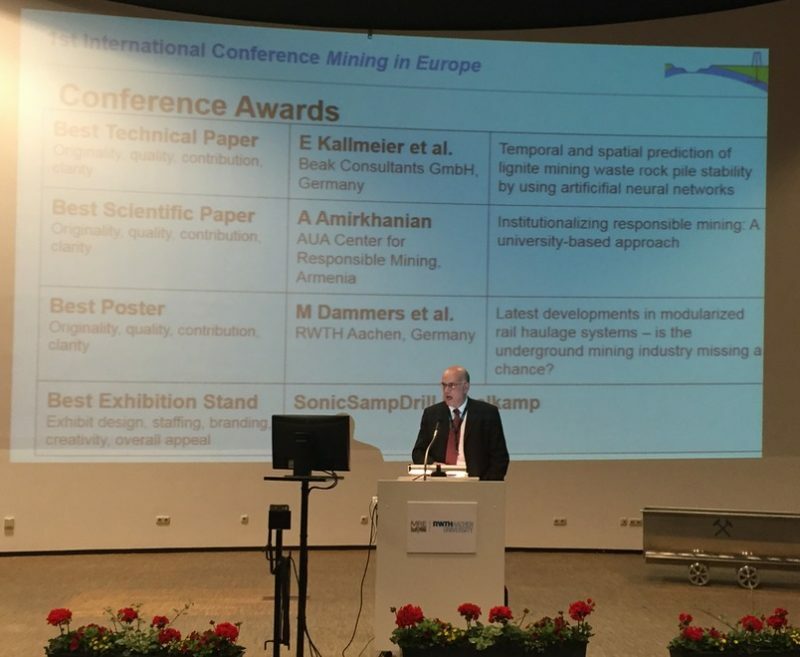 Amirkhanian’s presentation titled, “Institutionalizing Responsible Mining: A University-Based Approach,” was recognized as the “Best Scientific Paper” presented at the Conference. The American University of Armenia Center for Responsible Mining (AUA CRM) promotes the creation as well as transfer and adoption in Armenia of best practices in socially, environmentally, and economically responsible mining. AUA CRM works with companies, civil society, and the public sector to achieve this goal.